The donut day cut file contains affiliate links to products I use and recommend. By making a purchase I may receive a small commission. Once every few weeks I wake up and declare it donut day. I run the kids for donuts before dropping them at school and usually it puts my four kids in an instantly good mood. When I’m in an extra giving mood we order extra donuts for their teachers too. 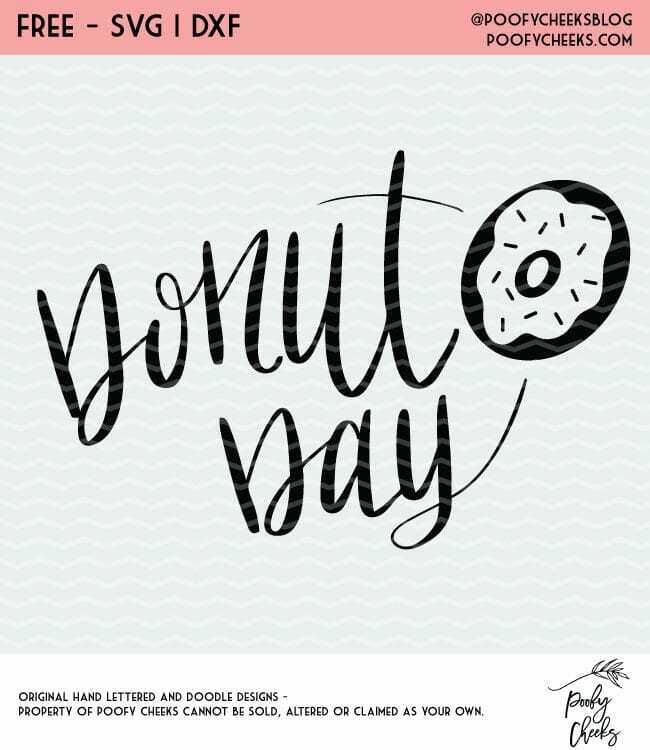 I made a donut day design which I think would go great on tags attached to a donut box or bag. It would also look great on a T-shirt. I scream, you scream we all love Donut Day! 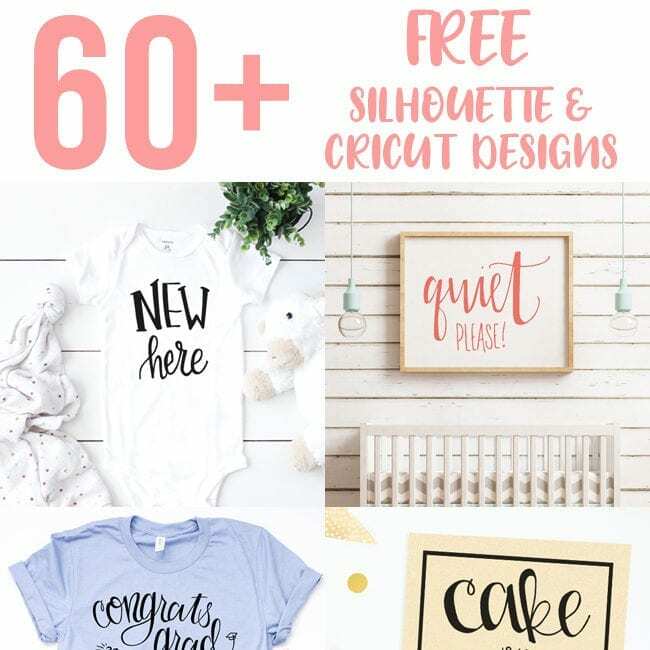 How can I use the free cut file? Cut these files onto any medium you prefer to make mugs, cups, shirts, onesies, tote bags or basically whatever your heart desires. I have put together a list of adhesive and iron-on blanks and 35 ways to use adhesive vinyl to give you more ideas. My Vinyl Direct has a whole bunch of vinyl blanks you will fall in love with. Where do you buy vinyl? Do i have to input my name and email each time I download a cut file? Yes. This is how we track the popularity of our cut files. Sign up and get instant access to the Donut Day Cut File. Join over 10,000 others who download our free cut files.